We often pay zero attention to our respiratory diaphragm, yet it is one of the most structurally important parts of the body. All of the muscles in the body need to be exercised, stretched and worked with. Most of us know this, and we do yoga, go to the gym, walk, hike, run, or do some sort of work with our skeletal muscles. But these muscles are all generally on the outside surface of the body, either on top of our skeleton or immediately beneath. What we often tend to forget about is the importance of muscles that exist on the inside of the body. 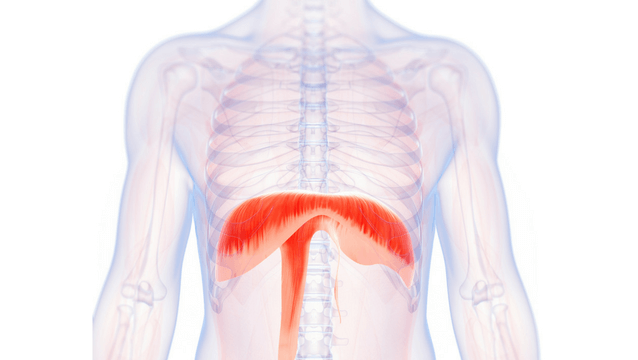 The pelvic diaphragm and the respiratory diaphragm are two internal muscles which we often pay zero attention to, but they are of massive importance. The diaphragms aid in respiration, help to control some of the functions associated with the internal organs and the pressure within the bodies cavities and circulate the lymph. It could even be said that the respiratory diaphragm is the most important skeletal muscle in the body as, unlike any other skeletal muscle, if you stopped using it for even a few minutes, you would die. Why is it that we never use or engage these important muscles? The ancient Yogi’s knew and understood the importance of these diaphragms. This is why they created the 3 Bandhas or “Locks” in the Hatha Yoga system. The 3 Bandhas are often thought of as being an “extra” element of Yoga – something that you don’t need to actually add to your practice, kind of a bonus if anything. But in reality, the 3 Bandhas are some of the most important parts of the practice of Yoga because they strengthen and tone the throat, respiratory, and pelvic diaphragms. The 3 Bandhas are explained in Hatha Yoga as being a path to immortality and a way to control the Kundalini energy that exists within the spinal chord. Is it coincidental that the Cerebral Spinal Fluid that exists within the spinal chord is controlled by the movement of these diaphragms? If you want to truly deepen your practice, you must start to incorporate the 3 Bandhas, as well as the combination of these 3 Bandhas- known as Maha Bandha – in your practice. It is not optional. You can learn to do handstands, arm balances, and other “trick” poses. You can ‘go deeper’ into your stretches and asana. You might believe that you are deepening their practice, but this is not deepening your practice. After you have mastered any asana and learned to control the breath within that asana, the next step to deepening your practice is to find the correct way to perform the Bandha associated with that asana. Once you can incorporate the diaphragms, the inner muscular element, into your Asana, only then can you claim to have mastered that posture. The ancient Sutras teach that we must incorporate the bandhas into the asanas. There is always an “esoteric” or supernatural element associated with this which often leads yogis into believing that the bandhas are a bonus or make-believe element, but this is entirely untrue. Incorporating the diaphragms into your practice is one of the most important additions to your yoga practice. Without it, you are neglecting some of the most structurally important parts of the body. By keeping strong, healthy diaphragms you are also gaining control over the pressure within the cavities of the body. 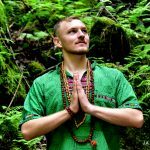 This pressure also tones the arterial and vascular system and brings forth deeper life-force control, which is one of the main purposes for the practice of yoga. If one cannot control one’s inner pressure then one does not truly have control over their body or practice. Next time you are practising yoga, remember: you can stretch your hamstrings, your quads, your pectoral muscles and your back, as we all do in yoga classes. This is fine. As your hamstrings loosen, and you overstretch your already overstretched trapezius muscle….. If anything goes wrong with your respiratory diaphragm…You die.